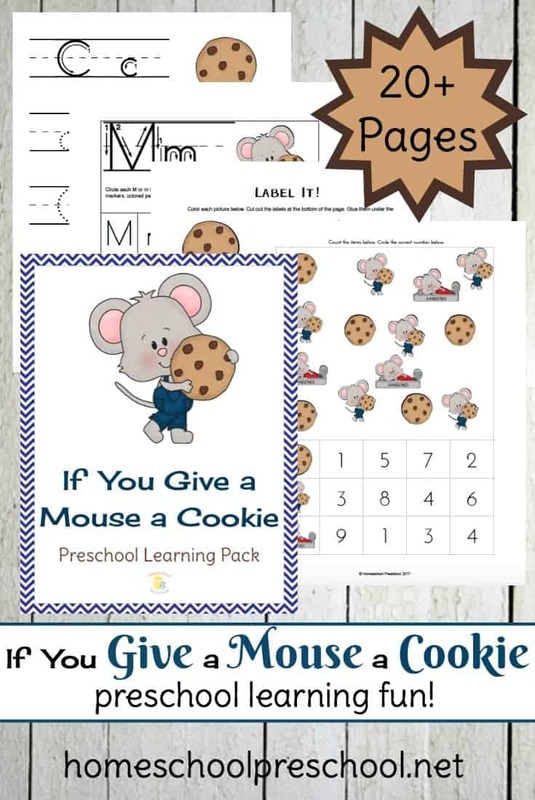 Engage your learners with a collection of If You Give a Mouse a Cookie printables. 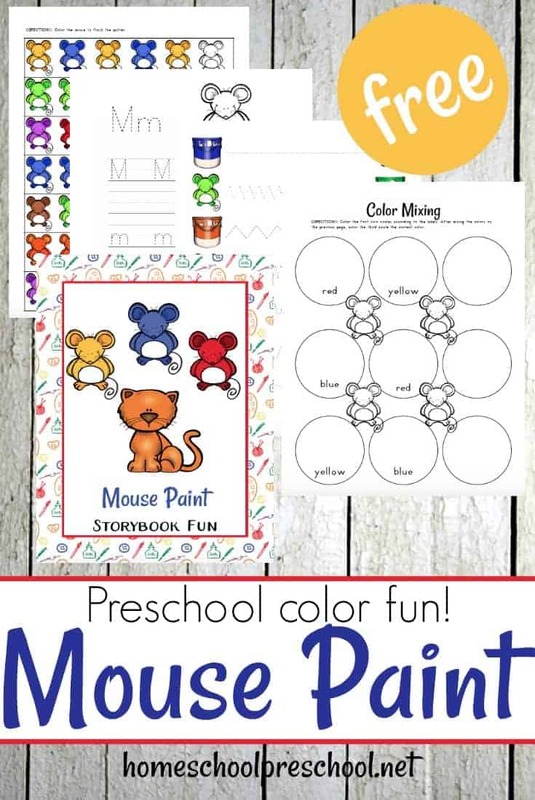 Little ones will focus on math and literacy skills with their favorite mouse! Kids love this fun series from Laura Numeroff. If You Give a Mouse a Cookie features a silly little mouse who wants a cookie. But, his wants don’t stop there. 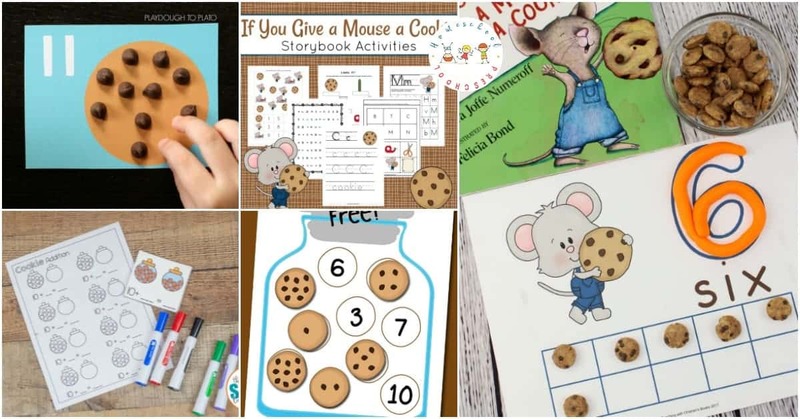 After reading the story with your preschoolers, extend the fun with one or more of these If You Give a Mouse a Cookie printables designed to help you focus on early math and literacy skills. • General Preschool Pack – Over 20 pages of preschool math and literacy fun from ME! • Counting Cards – Kids can practice reading numbers and counting one object as a time as they add real chocolate chips to these counting cards from Playdough to Plato. • Addition Cards – Students will practice adding with 10’s with these addition cards from The Stem Laboratory. • Counting Mats – These counting mats from Teaching with Children’s Books are a great way for children to practice counting from 1 to 10. • Playdough Mats – There are a few different cookie counting playdough mats in this set from The Art Kit Blog. Kids can practice counting, identifying numbers, and reading number words. • Alphabet Match – The Letters of Literacy is sharing a cute alphabet matching activity. Students will match upper and lowercase letters. • Printable Lapbook – If you like using lapbooks with your little ones, this lapbook from Homeschool Share. It focuses on phonics, fine motor skills, and math. • Color Matching – Kids will match colors and color words on this Milk and Cookies freebie from Preschool Wonders. • Rhyming – Fairy Poppins has a fun printable that focuses on rhyming words. Kids will match cookies to the correct cookie jar based on rhymes. 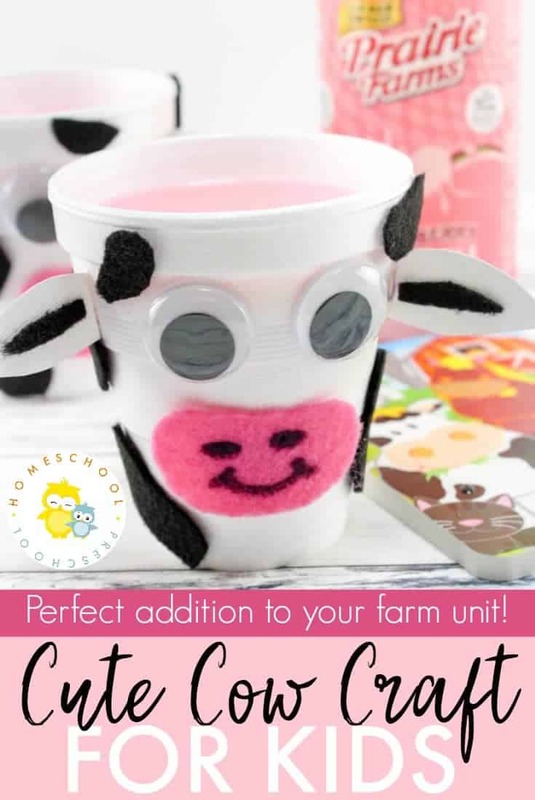 • 2D Shape Cookies – Introduce or review 2D shapes by matching a shaped cookie to a glass of milk featuring the shape or shape name with this printable from Sara J Creations. • CVC Cookie Match – Match the CVC words to the correct image with this activity from Liz’s Early Learning Spot. • Roll and Cover – Roll the dice, and cover the correct number of cookies. Kids will practice counting, number recognition, subitizing and more with this activity from Mom Inspired Life. • Count and Clip Cards – Count the chocolate chips and clip the correct number with this count and clip cards from A Dab of Glue Will Do. • Preschool Pack – Preschoolers will practice numbers, letters, and more with this set of worksheets from 123 Homeschool 4 Me. • Alphabet Pre-Writing Cards – Kids will fill in the letters with real chocolate chips! What a fun hands-on activity from Modern Preschool. • Another Preschool Pack – Scroll down to discover another preschool pack from A Little Pinch of Perfect. • Number Matching – Count the chocolate chips on each cookie and place them on the correct number in the cookie jar. What a fun activity from Totschooling. • Word Find – Search the word cloud, find the words, and tally them up with this activity from Lalymom. 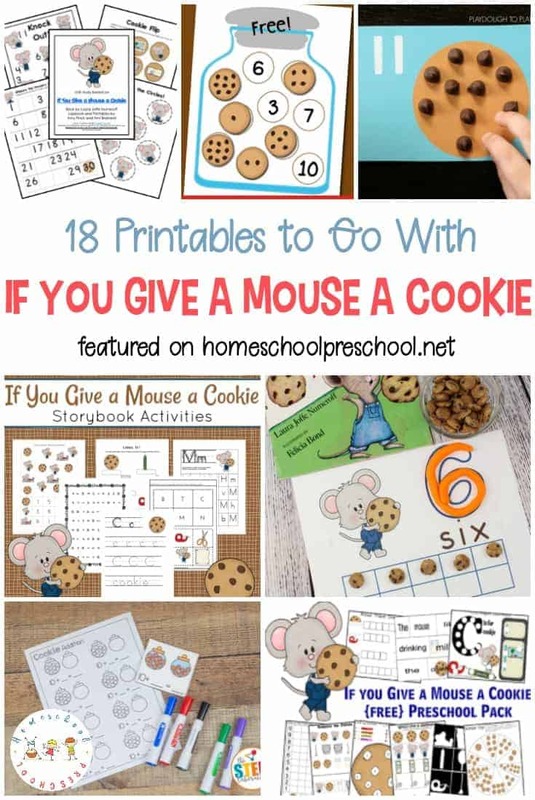 Which one of these If You Give a Mouse a Cookie printables will you try first?